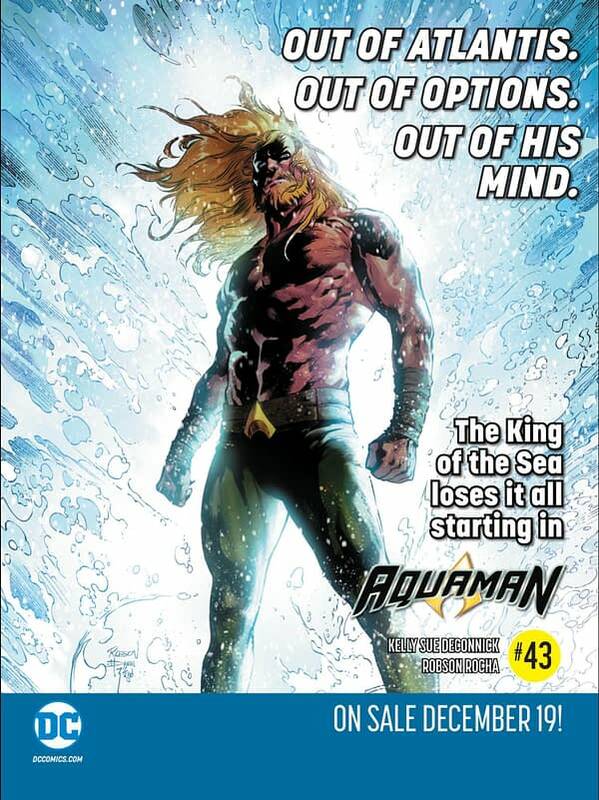 Courtesy of DC Nation #4, scheduled for December, our first look at the cover to Kelly Sue DeConnick and Robson Rocha‘s Aquaman run. No, sorry, that’s their silly teaser — here’s the actual one. 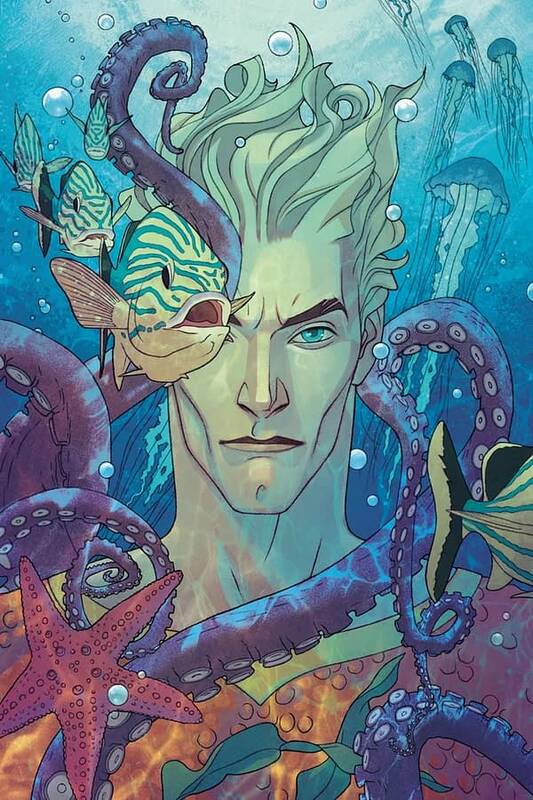 DeConnick told the crowd that she wrote the story as Aquaman searching for his mother, a very mythological take among the sea gods, and a retooling of Aquaman’s origin in the process as he is washed up on shore with amnesia. 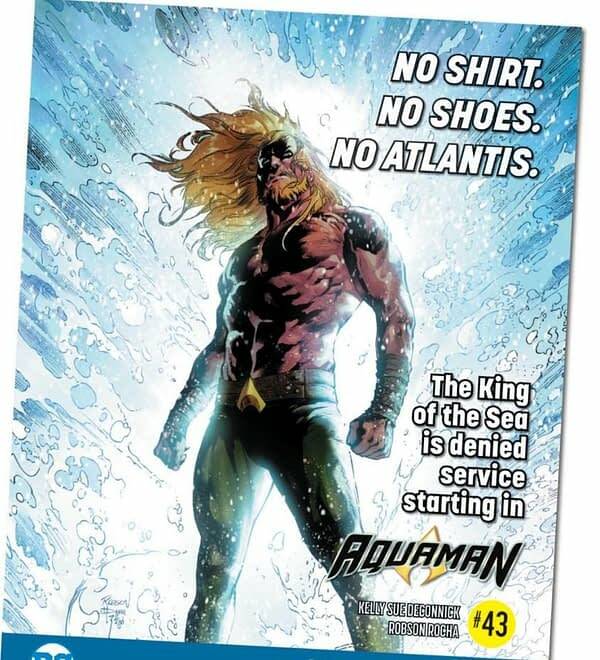 Is Scott Snyder Making a Point About Current Comics Culture Wars in Justice League?